Madame Chocolate Hasty Torres presenting her hot chocolate. Renowned chocolatier Jacques Torres, aka Mr. Chocolate, makes one of the most amazing hot chocolate mixes I’ve ever had: Wicked Chocolate. The spiciness of ancho chili, allspice, cinnamon and chipotle chili peppers with that rich chocolate. The perfect mid-afternoon pick-me-up when mixed with steamed vanilla soy. Um. Yum! When I was visiting New York years ago I had set foot into his Brooklyn store for the first time and instantly fell in love. With the chocolate chip cookies, the cookie mix (yes, cookie mix which makes these amazing cookies with huge chocolate chips) and the Wicked Chocolate mix. Beverly Hills Wicked Chocolate stash. Unfortunately, Jacques Torres isn’t on the West Coast so I had to restock by either ordering online and paying the $25 shipping or have my sister who lives in NY mail me a box. 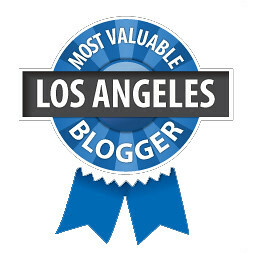 But for the holidays, Mr. Chocolate is available in L.A.! 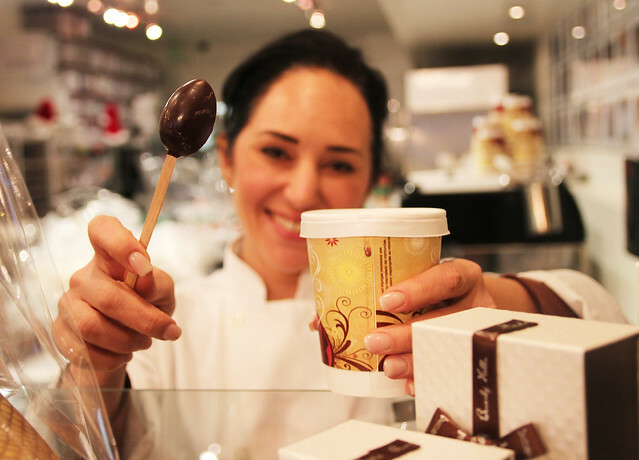 His wife, chocolatress Hasty Torres, is selling some of his chocolates, chocolate boxes AND most importantly Wicked Chocolate mix at her store Madame Chocolat in Beverly Hills as well as at her pop-up store at the Americana and cart at the Grove. The Grove cart closes up shop tonight but you can always swing by her chocolate heaven on Canon Drive. And if you’re dying for some hot chocolate on the spot, at the BH store Hasty has her own mix which she makes with steamed milk and serves with a chocolate spoon! Yeah, at first I thought the addition of the spoon was just craziness — chocolate overload. (Yeah, I guess there is no such thing.) But Madame Chocolat’s hot cocoa was actually all creamy chocolate without the cloying sweetness. The chocolate spoon added just the right amount of sugar and even more chocolate. Win win! Madame Chocolat’s mix and her husband’s go for $20 each. There are still tins available so snap ’em up! Hasty loaded me up with some of hers and her husband’s chocolates and a package each of both of their hot chocolate mixes while I visited her store. She literally is a sweet woman. I can’t wait to try making my own winter cocktails with these. Heads-up: For Valentine’s Day look for Jacques’ chocolates to return to the store. You’ll be able to make a special package combining bon bons from each chocolatier. 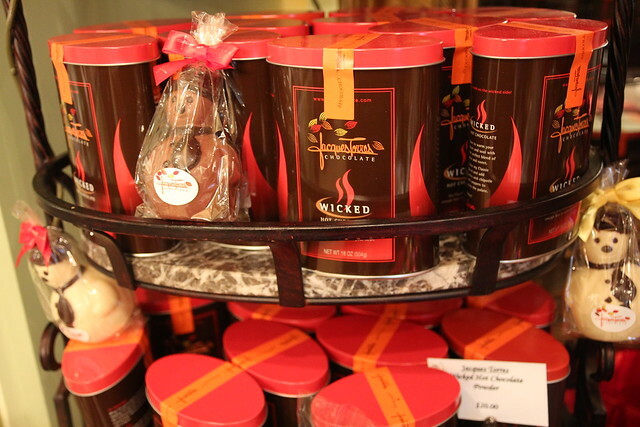 Hit the jump for a video of Jacques Torres making hot chocolate.